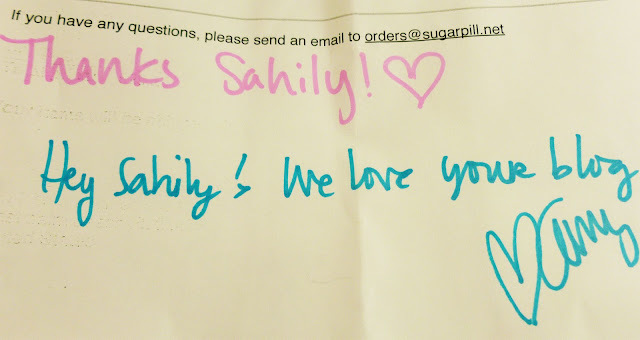 I’m Finally posting my review for my recent Sugarpill purchase. 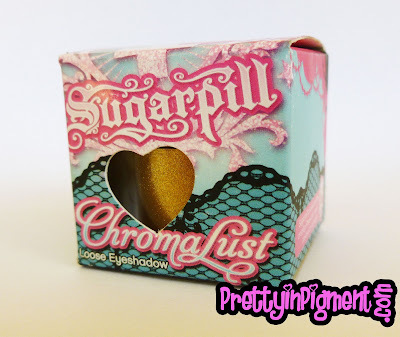 As you all know, I’m a sugarpill fan and use their products almost all of the time. When Sugarpill released their eyelash collection, I knew I needed to own at least one pair of these bad boys! 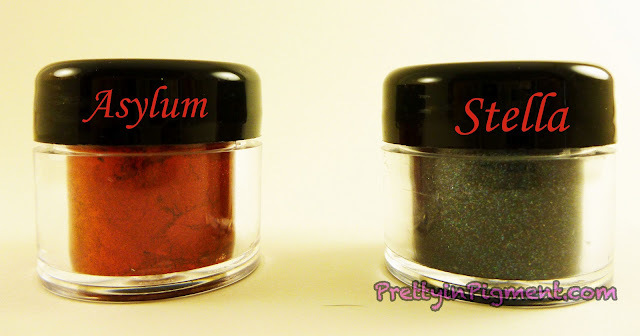 While I was spending, I also decided to add two new Shadows to my Sugarpill Collection! The lashes I purchased were the Baby Dew Drop lashes. They only cost $5.00 and are fantastic. They are very easy to put on and can be reused if you take good care of them. Not to mention, the dramatic look they can add to any makeup look! 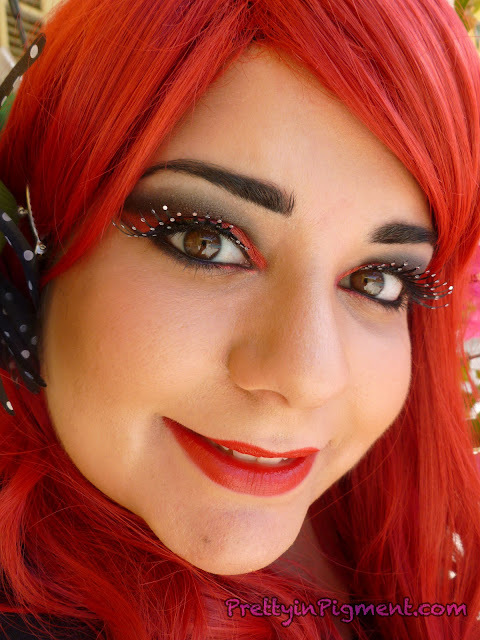 Here is my first look I created using Stella, Asylum and my Brand new Baby Dew Drop Lashes! 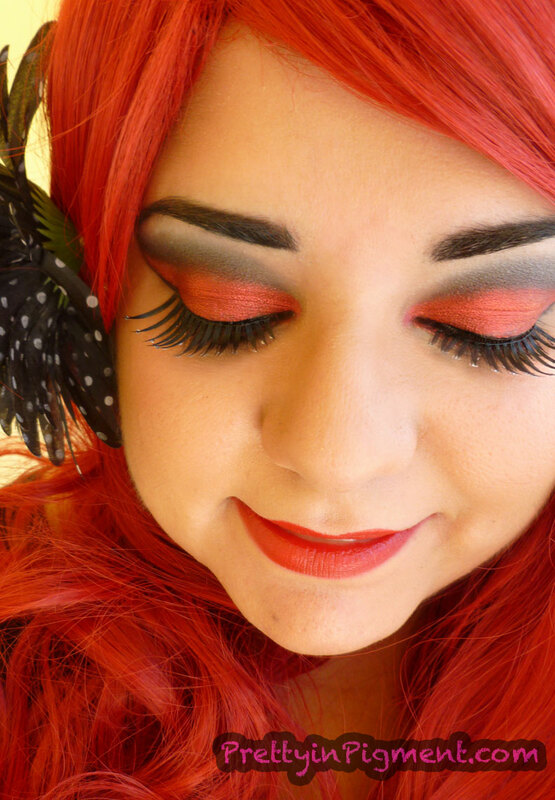 I love these lashes…when Im looking down they look long and bold, and when I look up…. Has anyone else tried the new lashes? What do you think? Review & GIVEAWAY! MAC Viva Glam "Nicki"
just beautiful! those lashes are amazing! I also LOVE your hair, i’ve been thinking about going that color with my hair, but I’m just too scared!! Woo, love the make up AND the lashes! I looove those lashes! Need to get a pair myself! You look great <3. And you have a gorgeous blog; following you now. I had to get this review up and posted before the start of the new year, so here it is! Once upon a time, more like last moth during the Sugarpill black Friday sale, I could not resist getting my hands on the Loose eye shadows. I decided to purchase Royal Sugar (Blue) and Magentric (Magenta). I wish I could have gotten Asylum and Stella, but I was ballin’ on a budget lol. 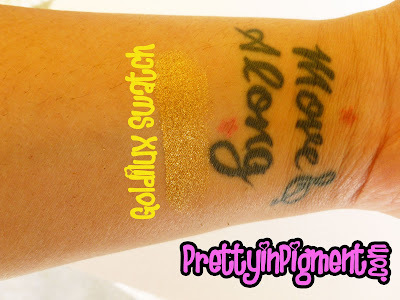 In additon, I am also including Goldilux in this review because I purchased it in October, but still had not posted a review of the product or color. Goldilux Chromalust….And the I can forget the fab packaging. I love the packaging! 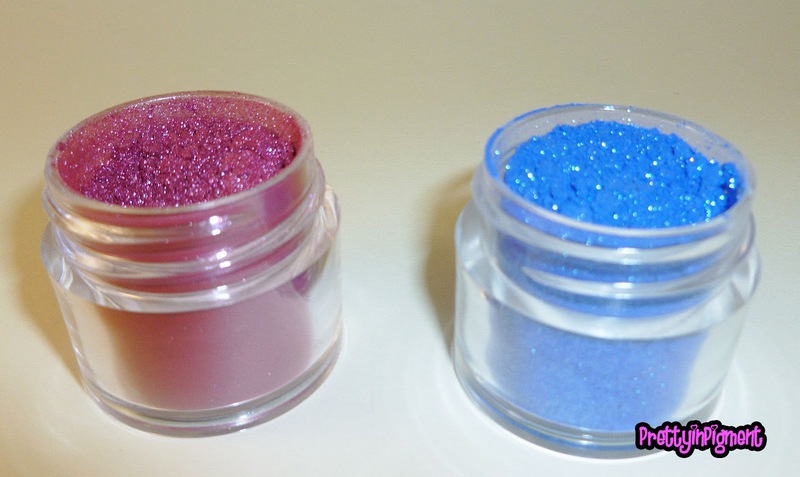 Magentric (Magenta) and Royal Sugar (Royal Blue). LOVE Both Colors! Just a little info on the brand/products. I know you know Sugarpill, and if you don’t know, get with the times! Sugarpill is California based Makeup line owned and founded by the ever so adorable Amy AKA Shrinkle. Unlike some companies, Amy is VERY involved in her line of products, as well as the customer service aspect. The Loose eye shadows come in a jar with 5 Grams of color/product for only $12.00 at full retail cost. During the sale I received 20% off which brought them to an awesome price of $9.60!!! Great price, especially for the amount of product for the price. This isn’t the best photo of Goldilux because it blends with my yellow skin lol. Swatches with no base on the Left and with primer on the Right. I could rave and ramble into the New Year about Sugarpill..but I will spare you all! Just know, I honestly love this brand of cosmetics! 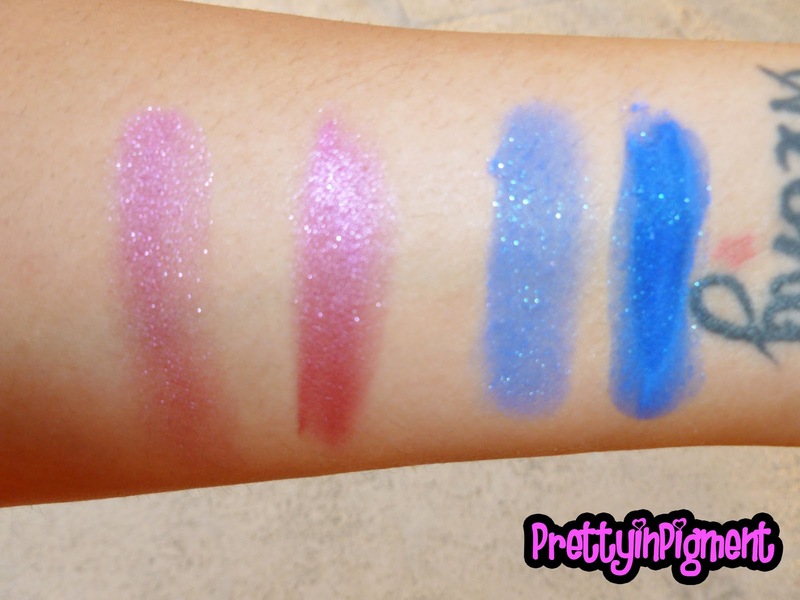 Mostly because of the bold and vibrant colors that the line offers, and the variety of unique shades. What you see is what you get with these products, in addition the work amazing professionally. I have used these on a few shoots and with clients and have had positive feedback from clients and photographers. I also really like how involved and supportive the brand is with their consumers, especially their pro MUA’s and blogger. My heart would be complete if they offered a pro discount and some highly pigmented neutrals…hint hint Amy 😉 Check out the Sugarpill site for more products and to Shop! My New Year’s Look! Happy 2012! !